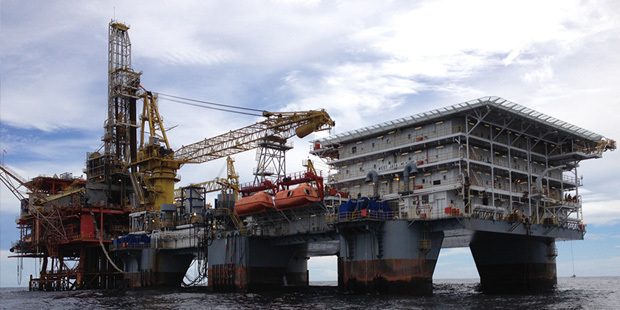 Chevron has contracted the rig Sapura Jaya from Sapura Energy. It is expected to be on location offshore Angola in April. With this, the American oil major joins the Italian explorer ENI, in pushing up the Angolan Rig Count. It’s a small indication that recovery is on the way, even though a rig count of 7 is still a long distance from the 22 back in 2014/15. Nigerian minnow Eroton, is currently finalising the first well it would drill as an operator and has moved the rig to the second well in the campaign. The operator of the Oil Mining Lease (OML) 18 licence, in Nigeria’s eastern onshore Nigeria, has completed Akaso 15 and has progressed significantly in connecting the well to the pipeline system. Akaso-15 is expected to be brought onto production during the first half of March 2019, and a well test will be performed once the well has achieved stable production. Akaso-15 was prognosed to reach Total Depth around 11,900 ftMDBRT (measured depth below rotary table), targeting the E4500 and E3000 formations. The well was drilled with the Sheng Li 4 rig, which was in action for Newcross on Awoba NW 2 (OML 24) in the neighbourhood. Eroton purchased 45% of OML 18 from Shell, TOTAL and ENI in 2015, and acquired the operatorship along with the purchase, in joint venture with the NNPC, which owns 55%. It has kept the output at around 40,000BOPD with work overs and field optimisation, but it had not drilled any new wells until now. The next well is called Akaso PMMO-1. Nigeria’s Petroleum Explorationists have decided to formalise the search for oil and gas accumulations outside the Niger Delta. They have come together to organise a workshop, to collate the most current thinking on geological basins outside the Delta basin. The Niger Delta basin hosts all of the oil accumulations being produced in Nigeria, with the exception of one; the Aje field, offshore Lagos, which produces a minuscule volume: 3,000Barrels a day, or 0.15% of the country’s entire output. Aje field lies in the Benin Basin, which was laid down in the Cretaceous period, a geological age preceding the Cenozoic period, during which the Niger Delta was laid. 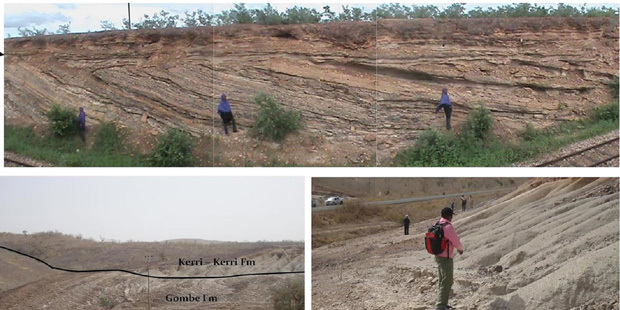 It so happens that the other sedimentary basins in Nigeria: Benue Trough, Chad Basin, Sokoto Basin etc, were, like the Benin Basin, all laid down during the Cretaceous. The crude oil finds around West Africa in the last 15 years, including Ghana’s Jubilee, Senegal’s SNE, and discoveries in Niger Republic and Gabon, are all in basins of cretaceous age. This is why the organisers of the workshop have christened their proposed parley the Cretaceous In Nigeria Workshop. It is two day affair, organised under the auspices of the Nigeria Association of Petroleum Explorationists (NAPE), and is to be held in Abuja from May 6 to May 7, 2019. It is to “be a forum for harnessing and sharing the knowledge of Cretaceous geoscience, in order to develop sound technical understanding of the different Petroleum systems supported by proven global analogs, says Muyiwa Olawoki, Ph.D, a retired ranking geoscientist with careers in Shell and ExxonMobil under his belt, who is currently running his own consulting firm, Geospectra Limited. Some of the usual suspects, without who this workshop would not happen, are Ebi Omatsola, Joe Ejedawe and Kehinde Ladipo. They are all PhDs and they have been pushing the idea of an industry/government collaboration in interrogating the Cretaceous data set in Nigeria for a while. Omatsola is former Chief Geologist at Shell and founding Managing Director of Conoil Producing. He is Africa’s leading exploration thinker and former President of the Nigerian Association of Petroleum Explorationists (NAPE). Ejedawe and Ladipo are both industry icons; who started out in academia and later spent more than 15 years in Shell each. Ejedawe received NAPE’s highest award, the Aret Adams’ Award, in 2017. Ladipo set up a Post Graduate Geocience School in the University of Benin after he retired from Shell. “Representatives from government agencies, local and international oil companies, and the academia are expected to attend”, says Olawoki, who is the convener. Although exploration in the country started in basins of cretaceous age, Oil majors operating in Nigeria have progressively stopped being interested in basins outside the Niger Delta, since Shell discovered Oloibiri in Bayelsa State 63 years ago. The narrative, since discovery, with the exception of TOTAL’s foray into the Benue Trough, has been almost entirely about the Cenozoic Niger Delta. It is the NNPC, the state hydrocarbon company, which has been most enthusiastic about the Cretaceous play. The word “Cretaceous” probably needs to be explained for our readers not familiar with geological terms. Cretaceous refers to that era, in the geologic definition which started 145Million years ago and ended 66Million years ago, lasting 79 Million years. What is important for oil finders is that it with a relatively warm climate, resulting in high eustatic sea levels that created numerous shallow inland seas. These oceans and seas were populated with marine reptiles (now extinct) ammonites and rudiststs. The end of the Cretaceous era is marked by the extinction of the Dinosaurs. The May 7-9 workshop will discuss, among others: Global Rift Setting Overview and Analogs; Pre-Cambrian Basement Impact on the Evolution of the Cretaceous Basins; Geophysics and Basin Architecture; Stratigraphy and Depositional Systems; Geochemistry and Basin Modelling and Exploration Activities. 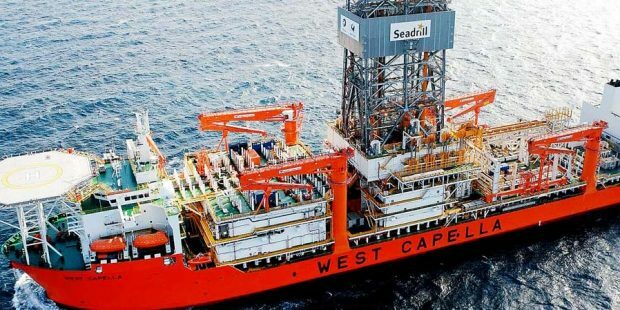 Seadrill Limited has entered into a 50:50 joint venture with Empresa de Serviços e Sondagens de Angola Ltda, an affiliate of Sonangol E.P), the Angolan state hydrocarbon firm. The new joint venture, Sonadrill, will operate four drillships, focusing on opportunities in Angolan waters. The Newcross Group, a Nigerian firm of E&P independents, is excited about the results of Awoba NW-2, reporting over 400 feet of pay more than encountered in Awoba NW-1, the discovery well drilled by Shell in 2001. This is the first well the company would drill as operator of Oil Mining Lease (OML) 24, which it purchased from Shell, TOTAL and ENI in 2015. 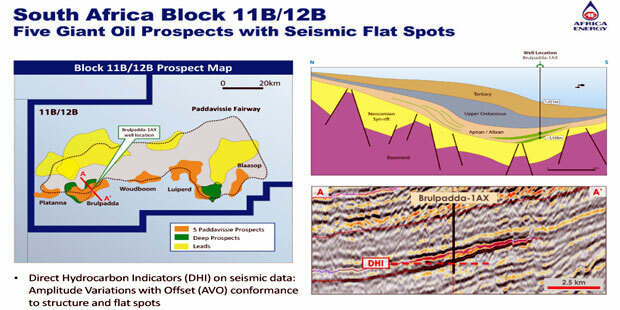 Awoba NW-2, drilled with the Chinese rig Sheng Li-4, successfully appraised multiple reservoir complexes, “through a focused, highly deviated well trajectory that targeted spatially diverse pools because of complex geology”, the company reports. The well discovered four new hydrocarbon accumulations. Total footage was 450feet Net Oil Sands and 520 feet Net Gas Sands (True Vertical Depth). 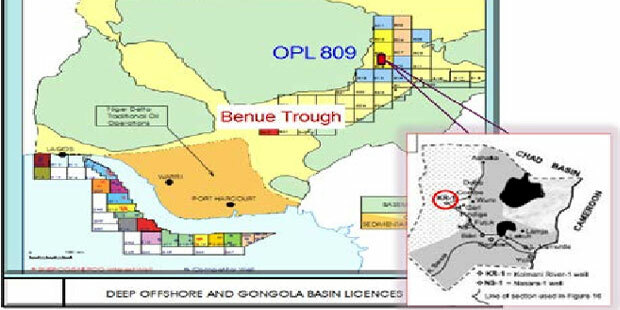 The NNPC/Newcross Joint Venture currently averages about 30,000BOPD in OML 24. Aker Energy is finalising a successful drilling operation of the Pecan-4A appraisal well offshore Ghana. The well was drilled at the Pecan field in the DWT/CTP block, to a vertical depth of 4,870 meters in 2,667 meters of water. The DWT/CTP block offshore Ghana contains seven discoveries, of which Pecan is the main discovery to date. The main purpose of Pecan-4A appraisal well was to confirm Aker Energy’s understanding of the geology in the area and to identify deep oil water contact in the Pecan reservoir. This was successfully proven. “We are pleased to announce the well results, confirming our understanding of the area, as well as the resource base and upside potential in the DWT/CTP block. Based on these results, we will optimise the Plan of Development for the Pecan field. There is still a lot of work to be done, including to conclude the phasing of the development, the size of first phase and detailing of the concept. Our most important priority going forward is to deliver a robust field development plan to the Ghanaian authorities,” says Jan Arve Haugan, Chief Executive Officer at Aker Energy. Based on existing subsurface data from seismic, wells drilled and an analysis of the Pecan-4A well result, the existing discoveries are estimated to contain gross contingent resources (2C) of 450 – 550 million barrels of oil equivalent (MMBOE). Aker Energy estimates that with the next two appraisal wells to be drilled, the total volumes to be included in a Plan of Development (POD) have the potential to increase to between 600 – 1,000MMBOE. In addition, there are identified multiple well targets to be drilled as part of a greater area development after submission of the POD. Will Brulpadda, Now Spud, Open Up South Africa? 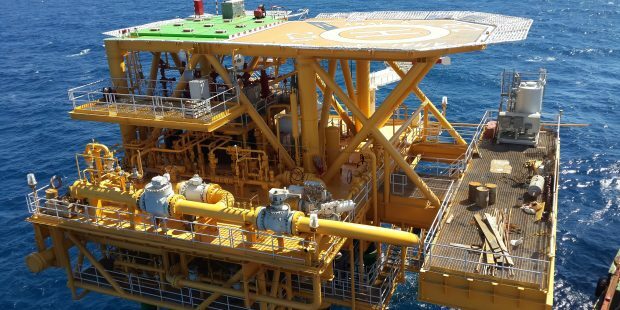 Four years after it was forced to quit, TOTAL has re-entered the Brulpadda-1AX on Block 11B/12B offshore South Africa. The French major looks forward to drilling results, in what it considers a “basin-opening opportunity”, in the first quarter of 2019. TOTAL halted drilling of the well in November 2014 because of mechanical problems on the rig, caused by the challenging environment in the Agulhas, with its chaotic combination of currents, waves and winds, which contrasts sharply with the mild metocean conditions of the West African deepwater. Block 11B/12B is located in the Outeniqua Basin, approximately 175 kilometers off the southern coast of South Africa. The area has a proven petroleum system from the nearby Sable and Oryx oil fields, according to geoscientists working on the prospect. Brulpadda is one of five similar submarine fan prospects with direct hydrocarbon indicators defined utilizing two dimensional (2D) seismic surveys acquired across the Paddavissie Fairway in 2001 and 2005. The Brulpadda Prospect has gross prospective resources of more than 500Million barrels with significant follow-on potential in the success case. TOTAL is drilling in South Africa at a time of significant uncertainty around oil and gas exploration in the country, with an Upstream Petroleum law stuck in parliament over 10 years with no clear line of sight to resolution. But if the well turns out to be a discovery in an otherwise barren landscape, it has the tendency to kickstart a drilling queue. Brulpadda-1AX is being drilled in 1,432 metres of water by the Odfjell Deepsea Stavanger semi-submersible rig to a total depth of 3,420 meters subsea. The well will test the oil potential in a mid-Cretaceous aged deep marine fan sandstone system within combined stratigraphic/structural closure. Drilling and evaluation of the well is expected to take approximately 85 days with a gross budget of approximately US$154 million, including contingency for downtime due to weather. TOTAL operates Block 11B/12B with a 45% interest in Block 11B/12B, while Qatar Petroleum and Canadian Natural Resources Limited have 25% and 20% interests, respectively. The advance team for the drilling of NNPC’s gas well in Bauchi State, in Nigeria’s northeast, has started moving to site. Kolmani River-2 will be appraising the 1999 gas discovery made by Shell in Kolmani River-1. The Anglo Dutch major drilled the well to a depth of 3,000metres. Although there were no tests, the company booked 33Billion standard cubic feet of gas as possible estimated recoverable reserves. 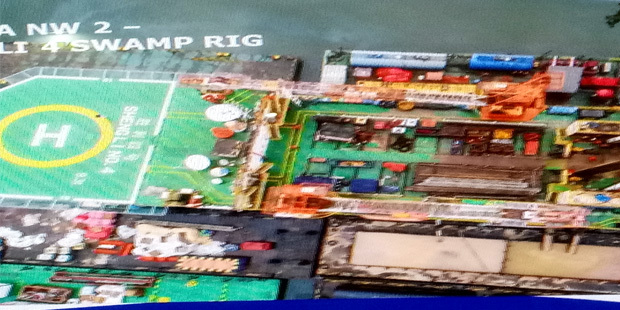 The new well will be drilled by the Drillog operated Rig 101, which will move from Moni Pulo’s Ituk-3ST1 in Akwa Ibom state, in the country’s southeast onshore, to the site of Kolmani River 2, in the Gongola Basin. As we reported in the November 2018 edition of Africa Oil+Gas Report, the well is unlikely to spud before the end of the year. The spud date is likely second week of January 2019. NNPC’s Frontier Exploration Services, which is in charge of the project. had earlier announced Q3 2018 spud for the much awaited spud 2, citing Rig contract awards, road construction, site preparation and Mobilisation to location, as likely to have been done as far back as July 2018. However, Drilliog Rig 101 had only just commenced Ituk-3ST 1 in October 2018 and the likelihood of finalising that well of mid-November 2018 were slim.